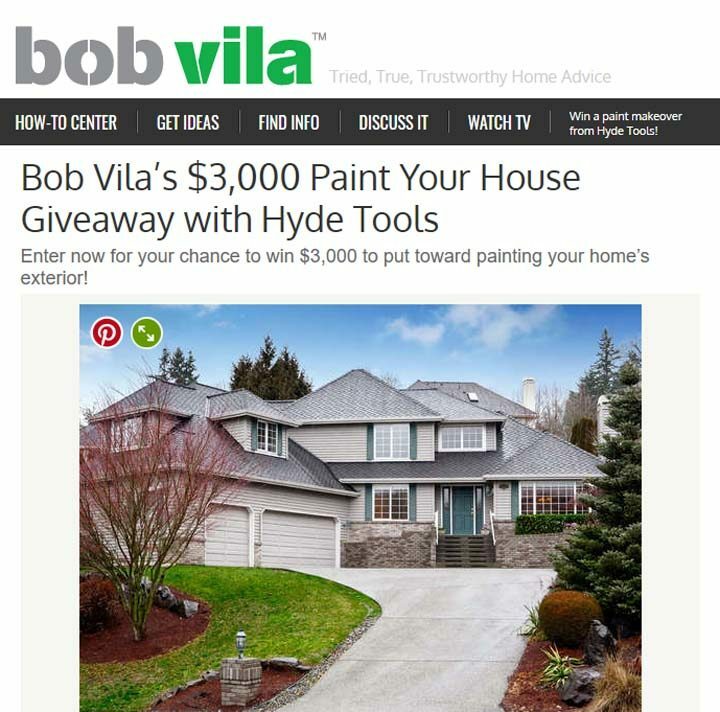 The Bob Vila’s $3,000 Paint Your House Giveaway with Hyde Tools is open only to permanent legal U.S. residents of the 48 contiguous states and the District of Columbia who are age 18 or older. The Bob Vila’s $3,000 Paint Your House Giveaway with Hyde Tools ends at 11:59 a.m. EST on June 30. You may enter any given Drawing one (1) time per household per day by visiting the BOB VILA website at bobvila.com and submitting your name and email address using the online “Bob Vila’s $3,000 Paint Your House Giveaway with Hyde Tools” submission form. Limit one (1) entry per household per day. The winner shall receive $3,000 to use for a professional exterior painting project. The $3,000 will include the cost of paint, supplies, and contractor’s fees.